Mester Electronics Co.Ltd is a corporation with high technology, which specializes in researching developing and manufacturing all kinds of high-quality electrical appliances, such as water dispenser, soya-bean milk machine, mixer high-speed electrical bottle and thermos, water purifier, fan heater, blender atractor and so on, One Korean water purifier company joined us this year, we have been their manufacturing base, The Mester always carried out ISO9000 international Quality Management System strictly, and develops a great and long relationship with many internal universities and abroad for updating our technology we have the ability of manufacturing millions of products, we also have integrated sales network in many markets, Many regies and offices for after service network have been set up. Unique PTC heating element, high efficient and safe. Adopt multi-safety-protection designing, rest assured when using. 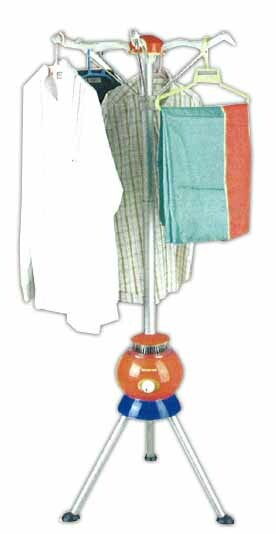 35% energy compare with traditional clothes dryer. Super quiet fans to send winds without noise. High quality and durable motor. Aluminiums stand, light and rust proff. Detachable and foldaway, easy to pack and save room space.